Lotus | Rick Bernard, L.Ac. 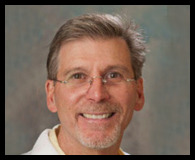 Rick Bernard is a leading expert in the field of acupuncture orthopedics and author of Orthopedic Electroacupuncture. With over 25 years of clinical experience and 65,000 + patient visits for Kaiser Permanente's chronic pain and Occupational Medicine clinics, as well as a thriving private practice, Rick offers real world, cutting edge insights on treating painful conditions. His involvement with some pilot studies at Kaiser has yielded some new revolutionary ways that electroacupuncture is being used for non-orthopedic conditions as well. Dedicated to the research and teaching of the most advanced acupuncture techniques, Rick's extensive studies with the use of electroacupuncture will greatly potentiate its use when used in combination with this orthopedic orientation of needling. Courses by Rick Bernard, L.Ac.